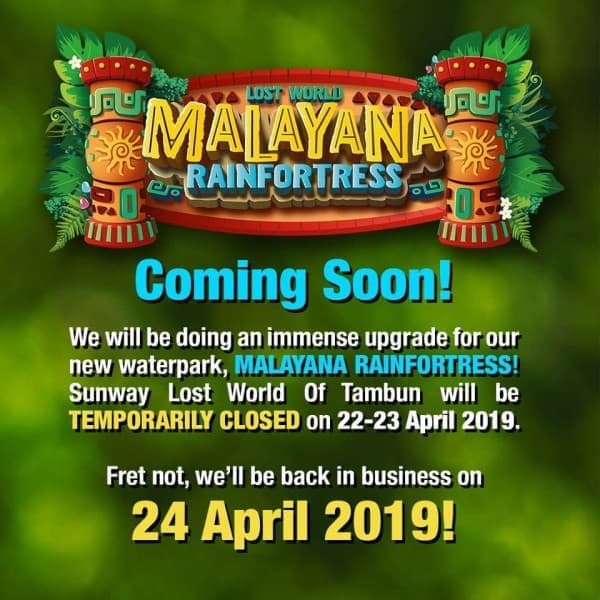 Dear Valued Guests, ... We will be doing an immense upgrade for our coming soon waterpark – Malayana Rainfortress therefore our theme park will be closed from 22nd to 23rd April 2019 and awesomeness will resume back on 24th April 2019 onwards. We apologise for any inconvenience and offer our sincere thanks for your patience and support. ... Cheers, More awesomeness are coming soon!